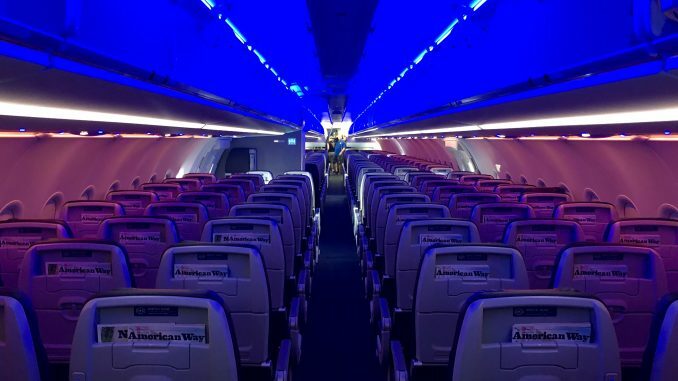 American debuted its newest aircraft, the Airbus A321neo, into passenger service on Tuesday. 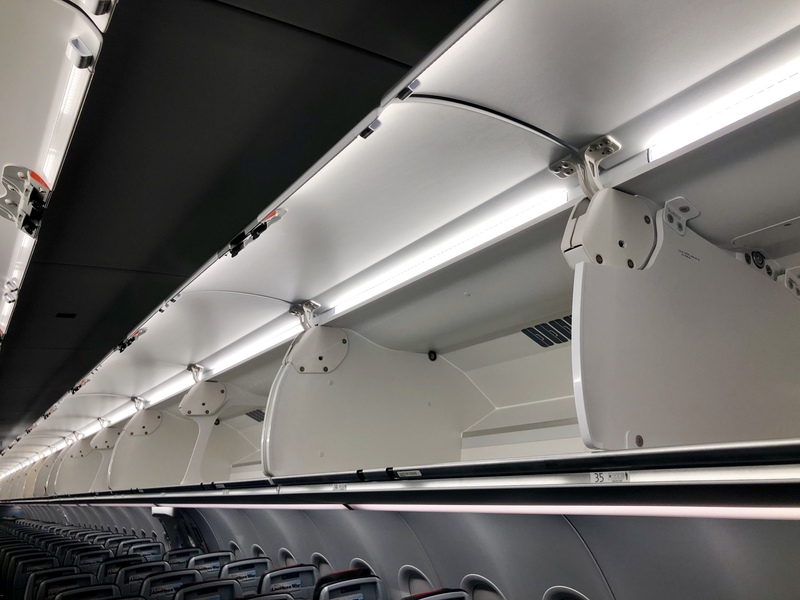 The latest-generation narrowbody aircraft offers exceptional range, larger overhead bin space and, overall, a better passenger experience over previous-generation A320 family models. 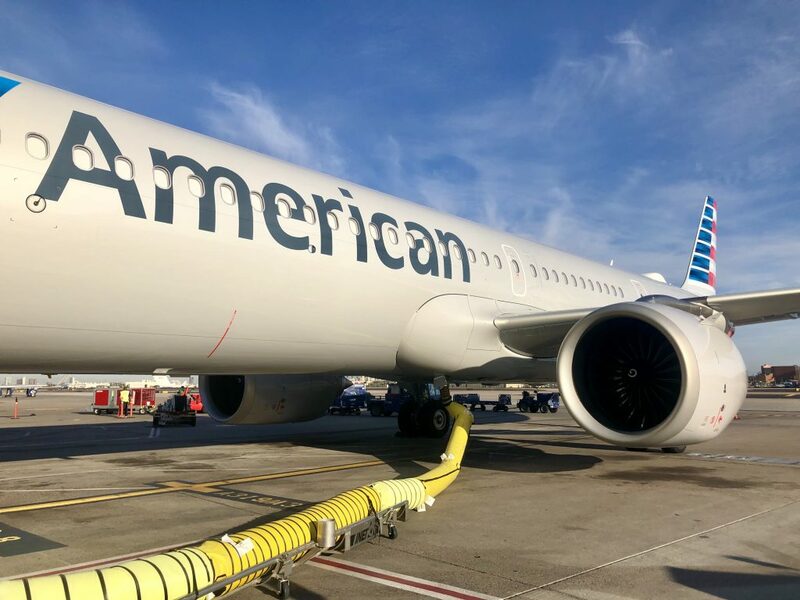 American became the third operator of the type in the U.S. after taking delivery back in February, joining Alaska Airlines and Hawaiian Airlines as an A321neo operator. This was looking to be an interesting launch for the A321neo sub-fleet of an already massive Airbus A320 family fleet, with plenty of moving parts. First off, American is primarily basing the A321neo aircraft in Phoenix, which raises a bit of an eyebrow since the city has long been rumored to be “de-hubbed” by American following the merger with US Airways/ However, introducing a new airplane into a market doesn’t seem like a ‘de-hubbing’ tactic to me and just two days prior to this event on March 31, American launched year-round service between Phoenix and London. Just over a year prior to the Neo’s launch, American added the 737 MAX 8 to its fleet. 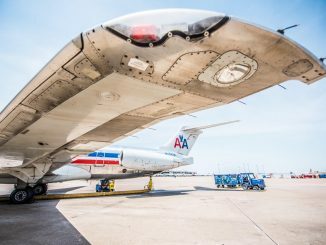 While of course right now this aircraft is grounded as investigations continue following two accidents, it is rather difficult to forget the negative press the American MAX received with complaints ranging from seat pitch to tight lavatories. 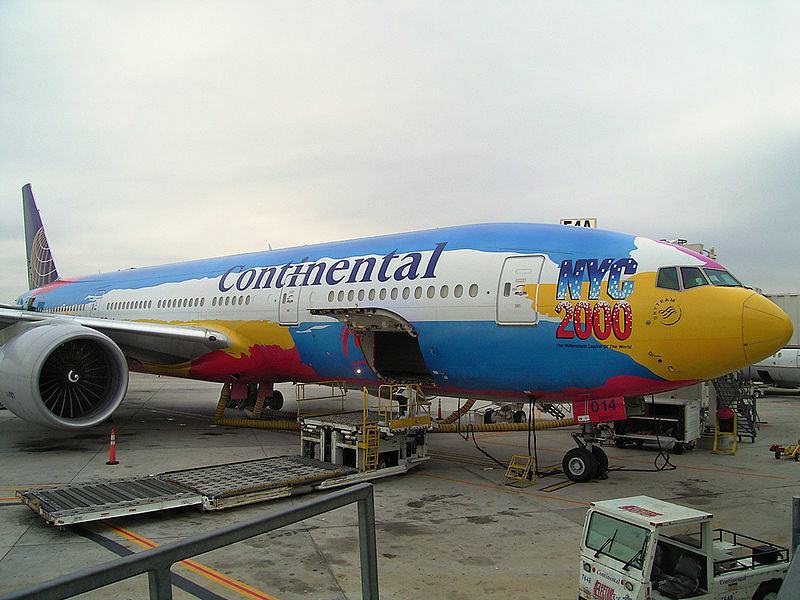 Since the Neo is the latest type to be added to American’s fleet after the MAX, it was interesting to see what the airline would do with it from a passenger comfort perspective, especially since it’s slated to operate on longer flights. Plus, the Neo and MAX fall into the same category: more efficient versions of largely popular aircraft. American Airlines flight 682 departed on-time from gate B14 at Phoenix Sky Harbor Airport complete with some level of fanfare. 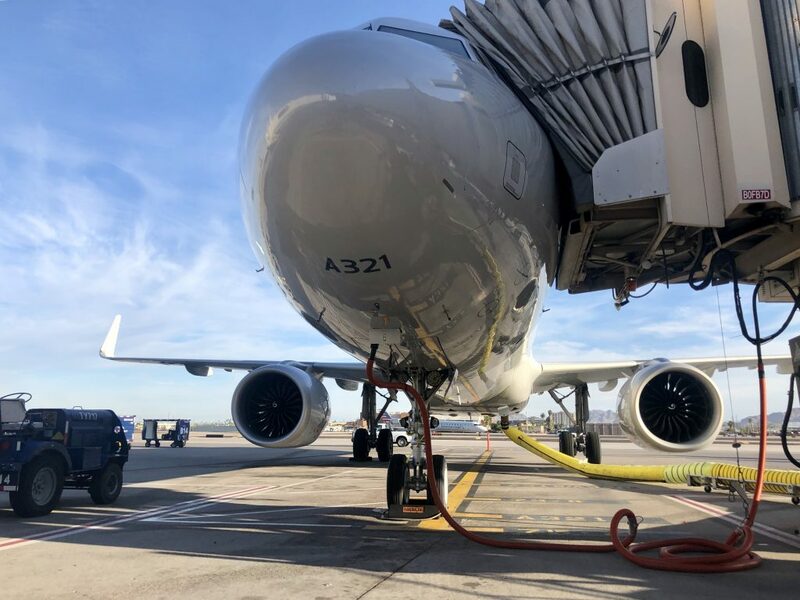 Phoenix-based employees were onboard early checking out the new airplane but, otherwise, there was no gate party, water cannon salute or celebration of any kind. Perhaps the only true celebratory aspect of the departure was managing to get the ever-so-rare Runway 8 for the departure out of Phoenix. I wasn’t surprised to see American keep this launch low-key. To some extent, they kept it along the lines of the 737 MAX launch. 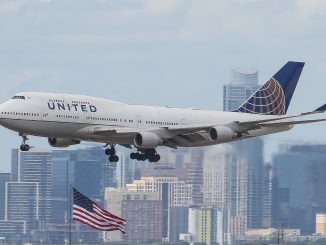 This is expected as there is still a large rift in regards to some of the onboard changes American has made in the past few years, including removing inflight entertainment screens and adding more seats to some of its jets. On the Neo, at least, the lack of inflight entertainment seems perfectly acceptable. 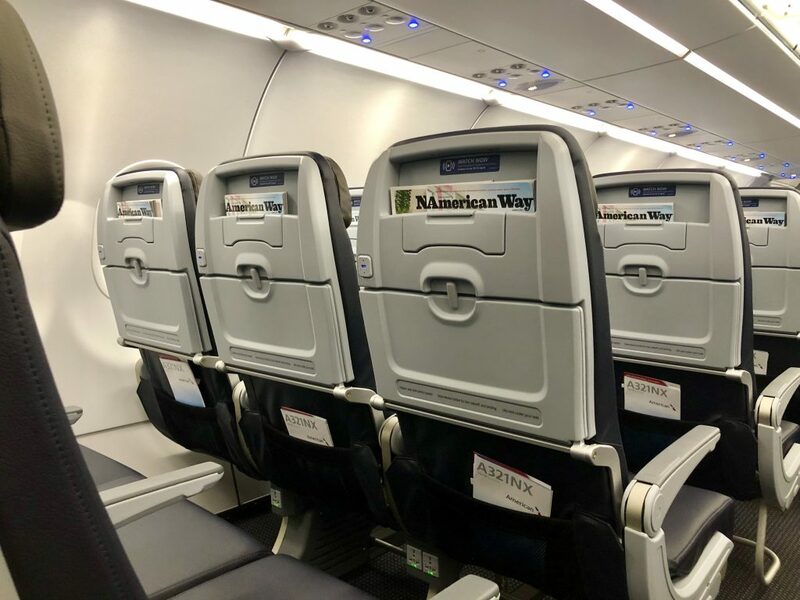 After all, the airplanes currently flying the routes that it’s destined to operate, namely the Boeing 757-200, and the airline’s legacy-US Airways A320 family fleet have no seatback screens at all, so the passenger experience will be comparable. American still operates a fleet of about 10 Phoenix-based 757s to Hawaii and a few other destinations. 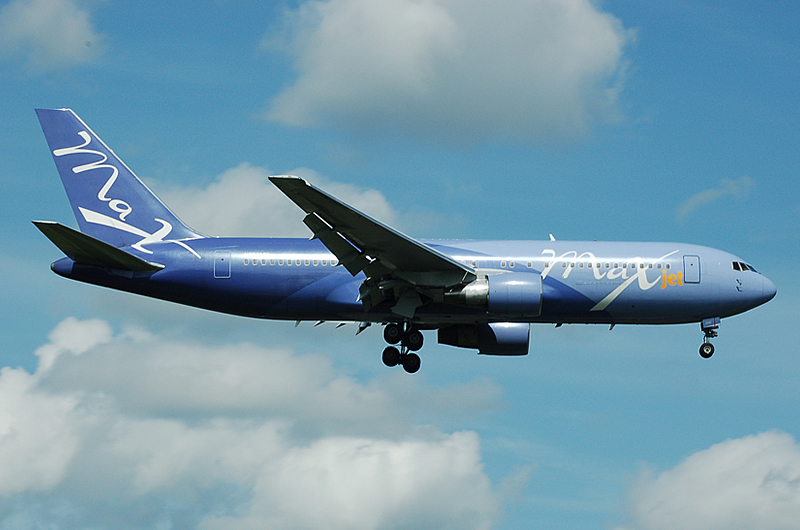 These 757s, all acquired from the merger, join a fleet of 34 Boeing 757s. However, the legacy-American 757s feature lie-flat seats in business class and WiFi. Only a handful of the dated US Airways 757s offer WiFi and do not have USB charging ports or AC power outlets in economy. 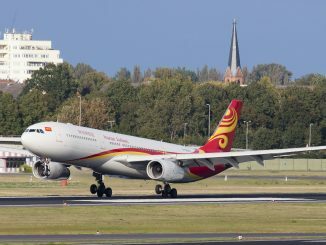 While the A321neo still does not quite match the 757 on a performance front, it is a welcome change from what is currently serving the Phoenix to Hawaii sector. On the Phoenix to Orlando leg, I swapped seats with a blogger so that there was an equal chance for each of us to try both cabins. Like me, he was also flying back to Phoenix on the second leg. So, on the Phoenix to Orlando leg, which was technically considered the inaugural, I was seated in seat 5F in first class. Overall, I found the seat to be suitable for the route. As for the longer routes to Honolulu, Maui, etc., it may get a bit redundant after more than six hours in the air. 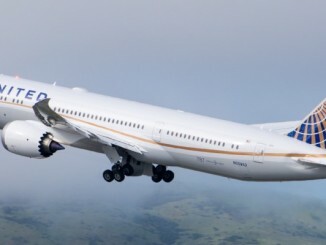 I would probably opt to make a connection and fly on the Boeing 777s from Dallas to Hawaii instead of a narrowbody domestic first class seat. 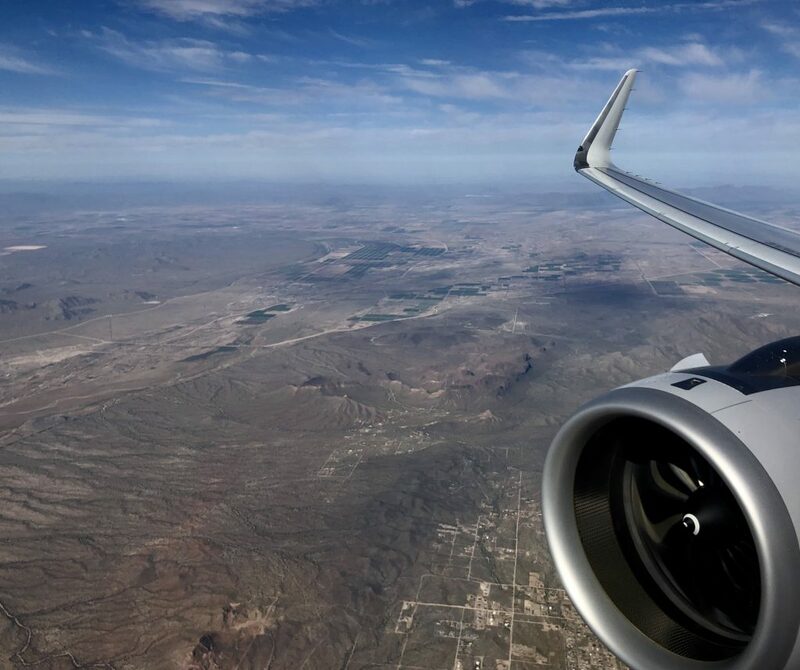 Frankly, it’s difficult to believe that we are even operating narrowbody aircraft to Hawaii in this day and age, but that’s another discussion. 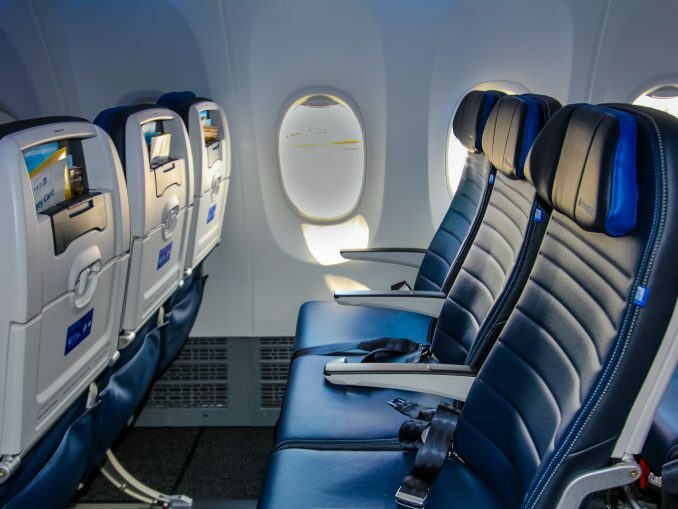 The seat is roomy but isn’t much different from a domestic first class seat you will find on a flight from Chicago to Los Angeles, for example. The seat itself is very basic and simple but it gets the job done. I have no concrete complaints about it. Each first class seat on American’s A321neo features a device holder for streaming along with a nearby USB charging port and a 110v AC power outlet back behind the seat. The latter is a bit hard to find as it’s pretty far back behind in the center armrest. The seat’s tray table is also sturdy, which is a noticeable upgrade from some of the older ex-US Airways A321s. There’s ample room for a meal tray and beverage. I would rank the A321neo’s first class as adequate. They are not bad but there’s nothing overly exciting about them. The average joe likely isn’t going to complain or rave too much about this seat. The service in first class is where this gets a little interesting. It’s important to note that I’m not knocking the crew here. Despite the circumstances, they did what they could with a positive attitude. I was seated at the back of the first class cabin meaning I would be last to select a meal. The choices seemed to be an egg dish or a fruit plate with yogurt. However, when the ‘number one’ flight attendant got to me she said only the fruit option was available. This really was not a big deal to me. Well, later I found out that the flight was not catered properly. 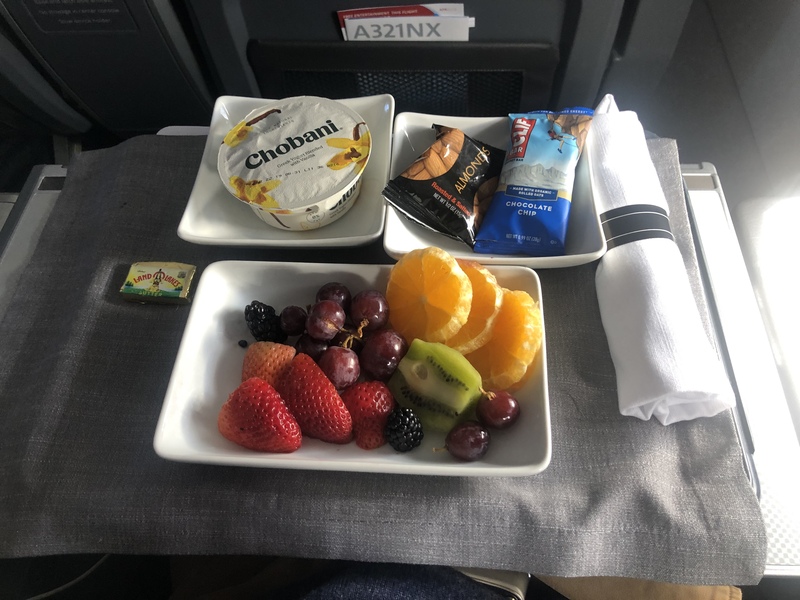 Instead of being stocked for 20 first class seats, the flight to Orlando was catered like a standard A321 with 16 seats would be. This was also the case in economy which was short on snack options due to the miscommunication. Either way, I was still able to put something in my stomach and the fruit plate was fresh. To the airline’s credit, though, this issue was quickly remedied on the return flight from Orlando to Phoenix. Furthermore, the crew handled the situation very well, profusely apologizing and trying to remedy the miscommunication. This wasn’t the end of the world but hopefully, as the A321neo sub-fleet expands operations, other American stations will be informed and prepared. I could see this issue being amplified on a flight to or from Hawaii. 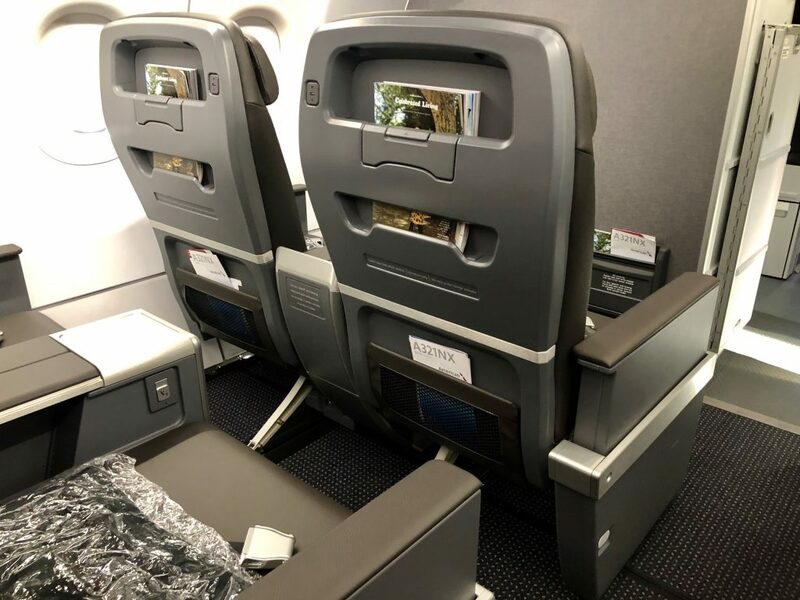 American’s first class product on the A321neo isn’t too far off from other seats on the airline’s domestic fleet. I found it perfectly acceptable for the flight to Orlando and could see it being suitable for trips to further destinations. I wouldn’t call it anything overly special but the seat and overall onboard product is a huge upgrade from the older legacy-US Airways 757-200s. After an extremely smooth touchdown in Orlando, it was time for a 40-minute layover before reboarding N400AN and heading back to The Valley of the Sun. On this flight, I was seated on the left side of the aircraft in economy’s Main Cabin Extra in seat 9A. 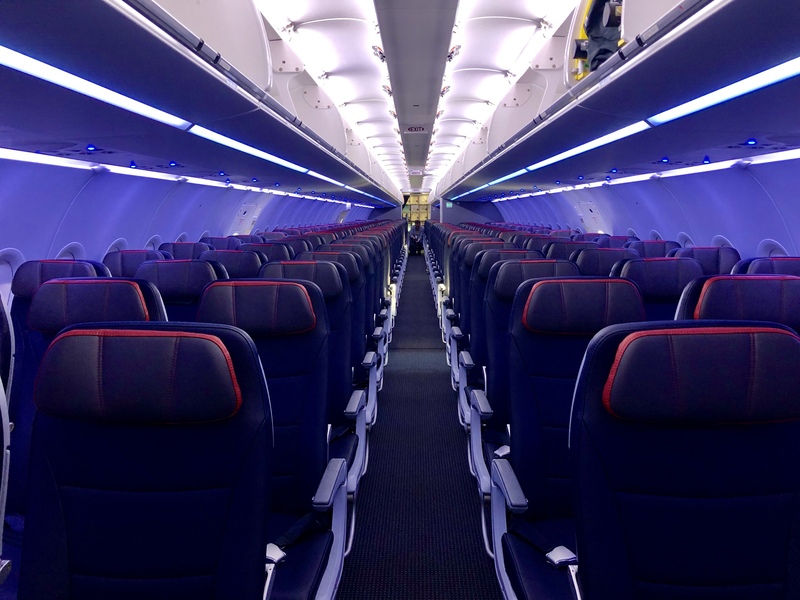 Having spent countless hours on the US Airways A321s between Phoenix, D.C. and everywhere in between, I was curious to see how much different the economy cabin would be on this jet. 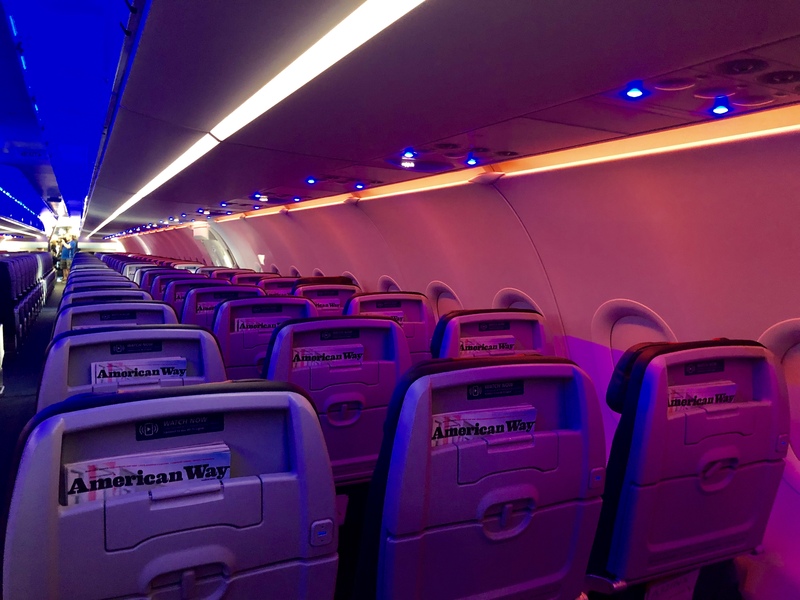 American plans to retrofit its massive fleet of 221 A321 standard aircraft, not including the premium-focused transcontinental variant, with the A321neo interior. These retrofits will include new seats, power ouetls, and Airbus’ Airspace XL bins, but no mood lighting. Seat 9A is positioned right in front of the CFM LEAP-1A engine. Even with this proximity, the powerplant is extremely silent, even during the takeoff roll. The seat itself was slim but comfortable. There was ample legroom and plenty of room to stow my backpack below the seat in front of me. One perk of no inflight entertainment is that there isn’t a pesky equipment box below the seat that obstructs stowing my personal item. My only complaint with the economy seat is the size of the tray table. 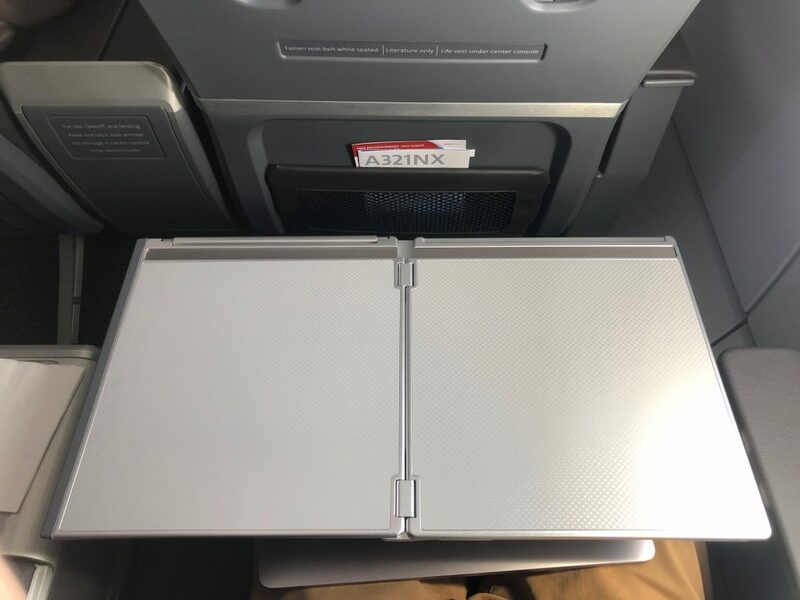 Granted, this is widely common in newer seats on domestic aircraft, but the ultra-small tray table makes it difficult to do work and have a beverage. I purchased a meal, too, and even having that was a bit tight with a drink out. It felt like I had to be extremely cautious as to not spill my Coke. 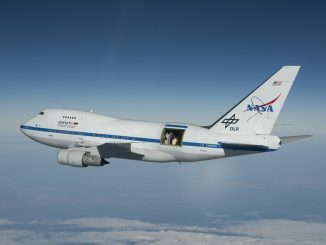 Since the flight to Phoenix had been properly catered for the Neo’s configuration, the service was a tad better. There were plenty of buy-on-board options, too. On this flight, I opted for the chicken wrap, which is always a solid option on American. Lately, I have been extremely impressed with the food choices in Main Cabin. The flight attendants in the back were cheerful and excited about working the new jet. There were no issues with the customer service side in my opinion. Overall, though, the economy service wasn’t anything to write home about, it was more-than-adequate for the route at hand. 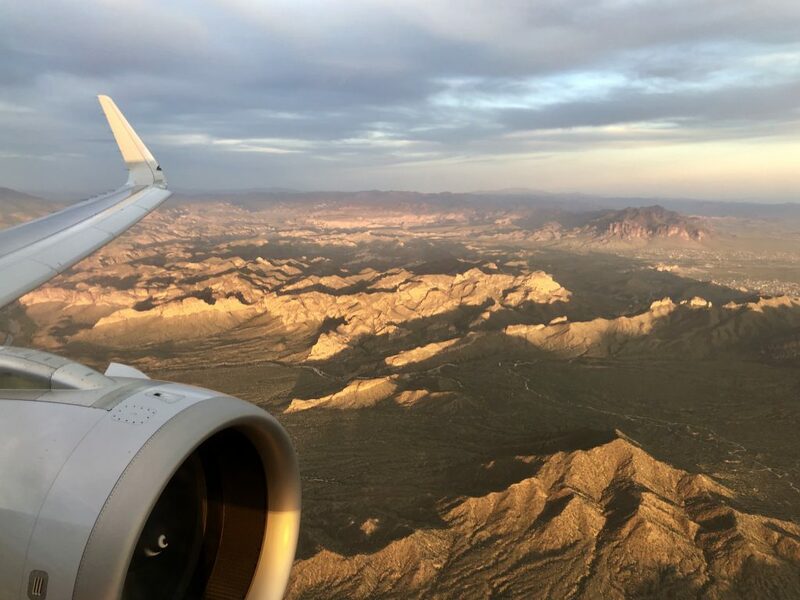 As our two-month-old A321neo soared over the Gulf of Mexico into Southeast Texas, the sun was glistening. 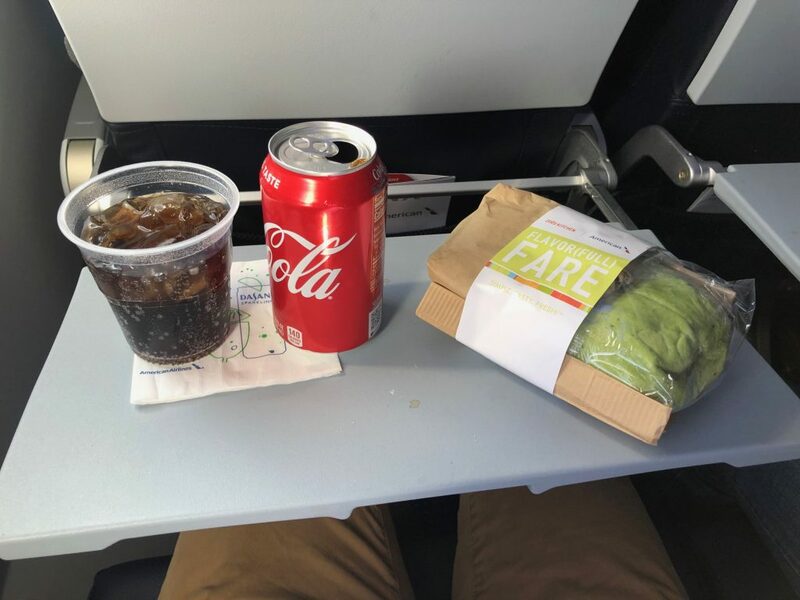 I enjoyed my chicken wrap and Coke while taking in the sights of a brand new aircraft. The crew came around numerous times with more drinks, coffee and water. As we approached the desert, the sun was starting to set more and the views over Northern Arizona were absolutely stunning — and the LEAP-1A was the perfect addition to the photo op. From the seat to the service itself, I found the onboard economy product on American’s A321neo to be solid. The seat pitch was good and comfortable. I would even go as far as saying it would be just as comfortable for a 7-hour flight to Hawaii. These seats may not be as cushy as the older economy seats on the 757s, but at least they have power outlets. 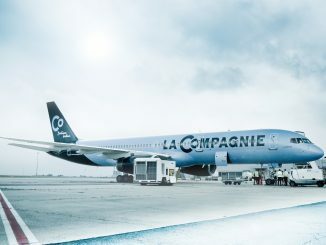 The biggest selling point of the economy cabin — as opposed to similar aircraft in the airline’s fleet — is the ambiance. The mood lighting offers a nice touch, especially the new ‘under-bin’ lights. Also, the massive overhead bins create less fighting and, in turn, a reduction in stress for travelers worried about if they will get their rollerboard on. 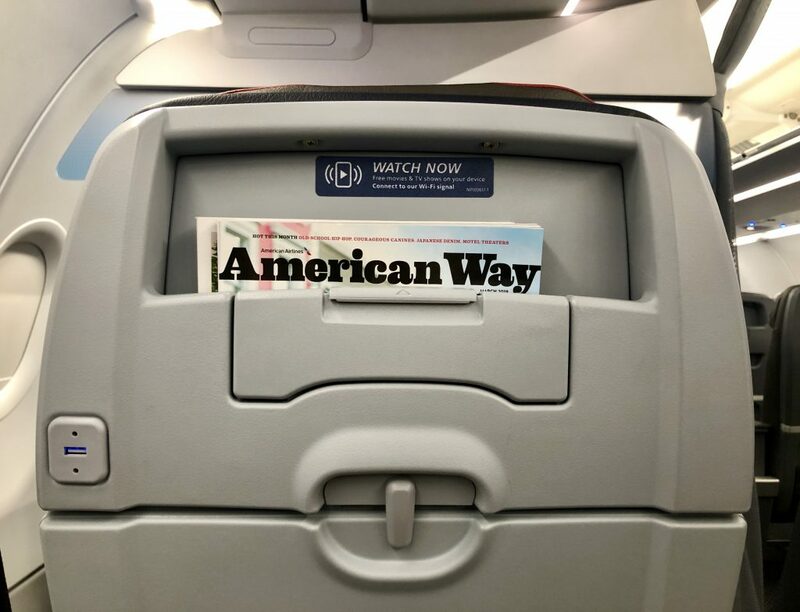 It’s no secret that American has received plenty of flack in recent months for “downgrading” the passenger experience by removing inflight entertainment screens and creating a tight Boeing 737 MAX seating configuration, but I’d argue that it’s worth giving the A321neo a try. Overall, the onboard product is perfectly adequate for the routes that it is scheduled to serve. While there will never be a true replacement for the legendary 757, American’s A321neo is certainly an upgrade. 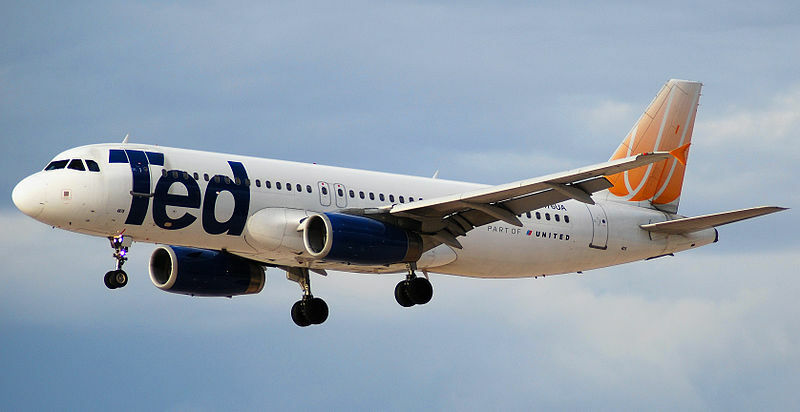 Will I miss seeing the 757s — commonly known as the “Rolls Royce of the Skies” — blasting off from Sky Harbor on a toasty desert afternoon? Of course. 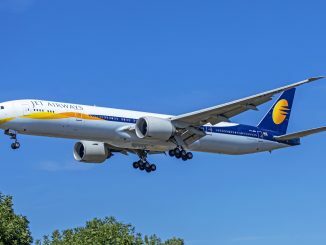 Nevertheless, times change and the A321neo is a logical replacement with similar performance metrics and a better overall passenger experience.